Lon Chaney, Mary Philbin, Norman Kerry et al. The original 1925 silent film adaptation of Gaston Leroux's novel 'Le Fantôme de l'Opéra', directed by Rupert Julian. Beneath the sewers of the Paris Opera House, a masked figure dwells. 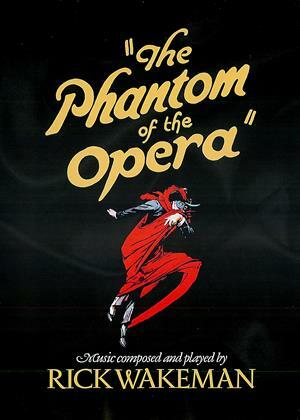 His name is Enrique (Lon Chaney), the Phantom, a hideously disfigured composer whose dream is to turn chorus singer Christine (Mary Philbin) into a diva. Also included is a specially commissioned soundtrack to the film, composed and performed by Rick Wakeman.